Welcome to AYSO Area 2A! 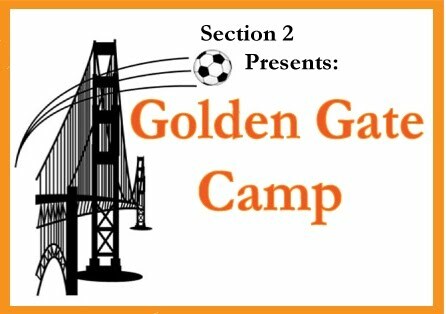 AYSO Area 2A serves the communities of Silicon Valley. For over 45 years we have produced quality youth soccer that enrich children's lives. 6 regions provide soccer for 5,000 kids age 4 through 18. Select Training above for Area 2A sponsored Referee and Coach training or check out the master Area Calendar. 14U Play - Click to view standings and results for Area-wide play in our Under-14 Boys and Under-14 Girls divisions. Where kids get to have fun in a safe and fair environment while making new friends as teams are reformed and rebalanced every year. If you feel your child cannot participate with kids their age due to physical or mental differences, check out VIP programs in Palo Alto or Area 2J South Bay VIP. For the area south of Sunnyvale and west of Hwy 280 (Cupertino, West San Jose, Saratoga, Campbell, etc) and southern Santa Clara County, see Area 2J and its regions 35, 64 and 27 and others. For the rest of San Mateo County north of Menlo Park (Redwood City, San Mateo, Belmont, etc) see Area 2N and Area 2B. For Santa Clara, North San Jose, Milpitas, East Bay and other cities not served by AYSO at this time, contact us to start a region. It's easy and we will mentor you. Regions are roughly defined by the fields they use -- usually either schools and/or cities. To play and practice on local fields, choose the region using your local field. There are no boundaries and you are welcome to register anywhere. The area staff provides (1) clinics for intermediate and advanced coaches and referees and (2) coordinates interlock play between regions; especially for our Under-14 divisions as well as the Madison League that includes Area 2J as well. For more information about AYSO and Area 2A, especially its history, can be found by clicking on the Information link in the main menu.